Thank you for your interest in visiting Maysville, Kentucky. We can’t wait to show you around our beautiful and historic community. 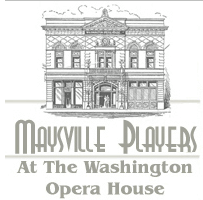 The city shines with award-winning theaters, like the restored 1889 Washington Opera House, run by the Maysville Players since 1964. The famous Opera sign serves as a beacon for people eager to experience professional arts and live entertainment. Maysville is also home to the Russell Theater. This 1920s atmospheric theater hosted a red carpet event when Maysville’s own Rosemary Clooney returned for her premier “The Stars are Singing” in 1953. Visual arts are celebrated with original exhibits by local artists in Maysville’s galleries and many local businesses. We are home to the Ohio River Valley Artist Guild and their showcase of talent brightens our area. The Kentucky Gateway Museum Center is a must see destination. It is home to the exquisite Kathleen Savage Browning Miniature Collection. Here you will be immersed in the unrivaled collection of 1/12 scale miniatures created by master artisans. This world class exhibit offers something for everyone. The Kentucky Gateway Museum is also home to numerous revolving exhibits, one of the best Kentucky research libraries and the Old Pogue Experience. The Pogue family has been distilling smooth craft bourbon in Maysville since 1876. Today six generations of Pogues have honed their skills and continue to produce the finest quality bourbon and rye whiskies. As one of the oldest Kentucky distilleries, Old Pogue prides itself on offering products that are never changed or compromised in character. Make sure to sample this masterpiece in the place where bourbon began its journey. Celebrating a vivid past while embracing the future, Maysville is proud of its rich heritage. 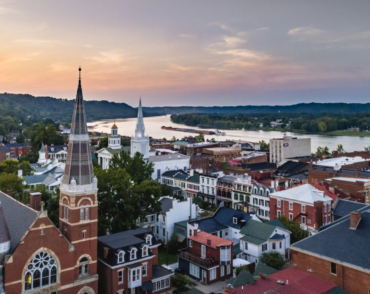 Through preservation, our two historic districts, Old Washington and Historic Downtown Maysville, continue to be home to a wonderful collection of historic buildings with diverse purposes. These scenic gems continue to play an important role in our economy. Both districts offer a variety of highlights and Old Washington offers daily guided tours April through December. If you are seeking history, we have it around every corner. There are numerous Underground Railroad sites throughout Mason County and we are home to the National Underground Railroad Museum, the Colonel Charles Young Birthplace Cabin and the Mays Lick Rosenwald School. We also have a vibrant past in being a major port town along the Ohio River and were once rich hunting grounds for the Native Americans. This area has played host to famous explorers and frontiersmen such as Simon Kenton, Daniel Boone and Lewis and Clark as they journeyed to points south and west. We even have the oldest covered bridge in the state of Kentucky just minutes away from our downtown district. Maysville is also home to many outdoor attractions. From four golf courses, a nearby 110 acre nature preserve, pristine parks, recreation paths, boating and fishing, we will be sure to keep you active while visiting. Throughout the season we host numerous charity and fun runs that range from a Filthy 5K to a 10 mile run that encompasses two states. Our area is rich in fertile soil as well and it has made us a major farming mecca for decades. Experience a variety of crops, such as hemp, corn and soybean, livestock production and the versatility and hard work of the farmer as they change and adapt to current needs. Lastly, anytime is a perfect time to visit, but check out our special events section and perhaps join us during one of our festivals or special events. We love a good party and good company. Take your time as you navigate our site. Call if you have additional questions or need us to put a package together for you and your friends.